Hemmed Drain with Anchor Flange. 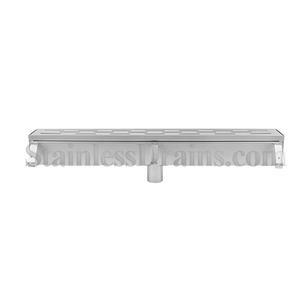 StainlessDrains.com’s Hemmed Drains are another addition to our new product line. The drain is designed with a grate ledge hemmed inside of the trench. The Hemmed trench gives the option of straight up sides or adding a top lip to this highly aesthetic drain. Hemmed Drain with Eco-Guard. 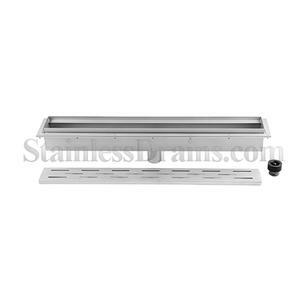 StainlessDrains.com’s Hemmed Drains are another addition to our new product line. 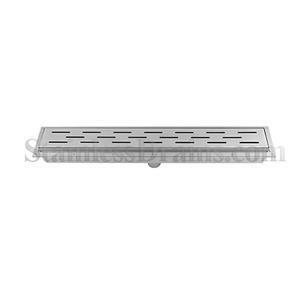 The drain is designed with a grate ledge hemmed inside of the trench. The Hemmed trench gives the option of straight up sides or adding a top lip to this highly aesthetic drain. Hemmed Drain with Slotted Grate and Eco-Guard. 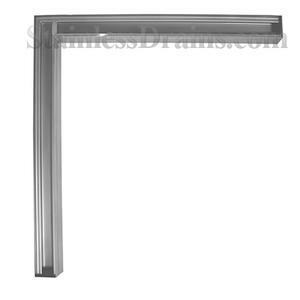 StainlessDrains.com’s Hemmed Drains are another addition to our new product line. The drain is designed with a grate ledge hemmed inside of the trench. The Hemmed trench gives the option of straight up sides or adding a top lip to this highly aesthetic drain. Hemmed Drain with Slotted Grate. 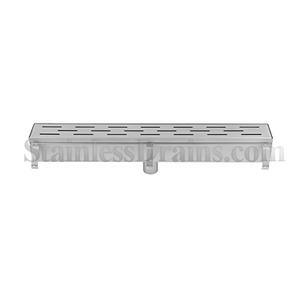 StainlessDrains.com’s Hemmed Drains are another addition to our new product line. The drain is designed with a grate ledge hemmed inside of the trench. The Hemmed trench gives the option of straight up sides or adding a top lip to this highly aesthetic drain. 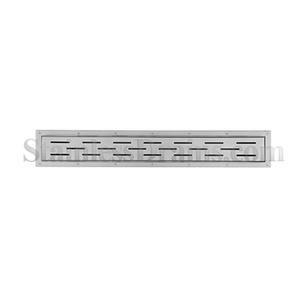 Hemmed Drain with Slotted Grate - Top View. StainlessDrains.com’s Hemmed Drains are another addition to our new product line. The drain is designed with a grate ledge hemmed inside of the trench. The Hemmed trench gives the option of straight up sides or adding a top lip to this highly aesthetic drain. Hemmed Drain without Grate and anchor tabs. 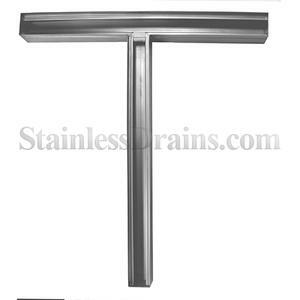 StainlessDrains.com’s Hemmed Drains are another addition to our new product line. The drain is designed with a grate ledge hemmed inside of the trench. The Hemmed trench gives the option of straight up sides or adding a top lip to this highly aesthetic drain. L-Hemmed Drain. 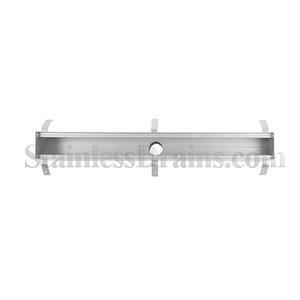 StainlessDrains.com’s Hemmed Drains are another addition to our new product line. The drain is designed with a grate ledge hemmed inside of the trench. The Hemmed trench gives the option of straight up sides or adding a top lip to this highly aesthetic drain. T-Hemmed Drain. 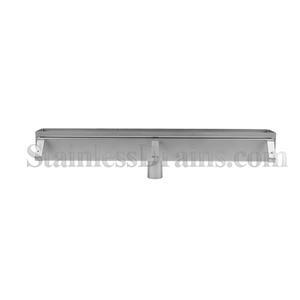 StainlessDrains.com’s Hemmed Drains are another addition to our new product line. The drain is designed with a grate ledge hemmed inside of the trench. The Hemmed trench gives the option of straight up sides or adding a top lip to this highly aesthetic drain. 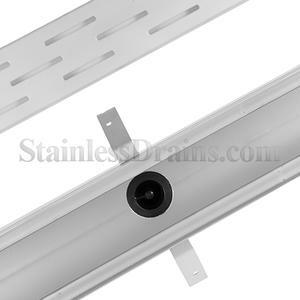 StainlessDrains.com’s Hemmed Drains are another addition to our new product line. The drain is designed with a grate ledge hemmed inside of the trench. The Hemmed trench gives the option of straight up sides or adding a top lip to this highly aesthetic drain.